Sticking to relatively subdued colors will help your kitchen whether the tests of time. If you are debating between a neutral cabinet finish or something with a little more pizzazz, we recommend the neutral option. We will list several reasons why selection of a neutral cabinet finish is a wise choice. Most homeowners are happy to limit their remodeling to once or maybe twice in a lifetime. Since remodeling a kitchen is a labor intensive, expensive and energy consuming process you want your design to be timeless. Neutral colors including white never go out of style. You can always paint your walls a bright color to give some pizzazz, if you are looking for some drama. 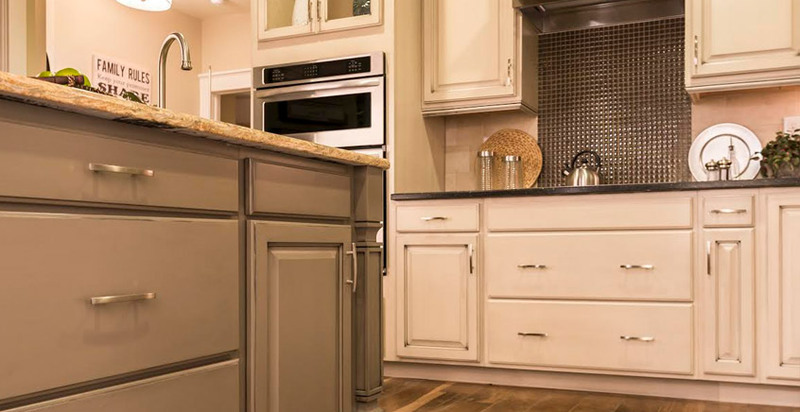 Your neutral cabinets will have the financial satisfaction of a great look year after year and will be appealing to future homebuyers as well. Since white is the timeless color for kitchens and bathrooms use other things in them to get the “pops of color.” Remember those old navy blue and green cabinets or even knotty pine? They were not very stylish in a few years. So there you were wishing for new cabinets again. Selecting neutral cabinets from the beginning will eliminate that problem. As the years go by and new color trends arrive you can add those colors in other ways to your neutral kitchen and bathroom so it looks timeless. For the past several years, the mover rate has remained between 11.5 and 12.5 percent, according to a 2014 statistics released from the U.S. Census Bureau. The mover rate between 2013 and 2014 was 11.5 percent or 35.7 million people. That is one in nine people moving each year. The typical homeowner sells his or her home every five to seven years. Designing with a more timeless and neutral cabinet palette will make your kitchen and bathroom more desirable for future home buyers. White is consistently a popular kitchen and bathroom color and it is considered neutral. Some other neutral in nature colors including gray, blue and black and even natural greens are seen to be coming into play. These days’ neutral cabinets are all the rage. If your final decision is to go neutral for your cabinets, then we recommend moving on to the counter-top. Your designer can help you find the correct material for your budget, style and taste. They can also help with which backsplash material that will give you the best deal for your dollar. After all those decisions you may decide upon a wall color. W. Stephens Cabinetry and Design can create custom designs for your home to fit your tastes!